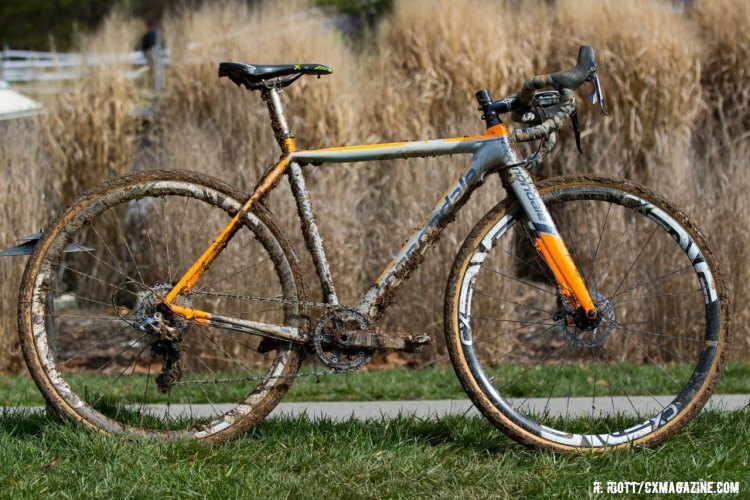 We’re continuing our look at winning and interesting bikes from the 2016 USA Cycling Cyclocross National Championships, that also saw action at the 2016 Cyclocross World Championships in Heusden-Zolder, Belgium. Today we have Sofia Gomez Villafane’s Cannondale SuperX Rival CX1. 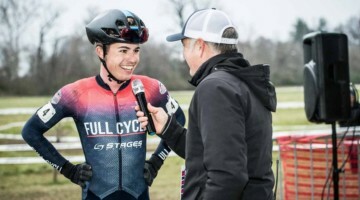 Gomez Villafane not only won the Women’s Collegiate D1 race in Asheville, but she also raced from a last row call-up to take the silver medal in the Junior Women’s 19-22 race at the Biltmore Estate behind Ellen Noble, whose bike we previously featured. With the performances Gomez Villafane put in in North Carolina, Gomez Villafane was awarded a spot on the US squad for Worlds. 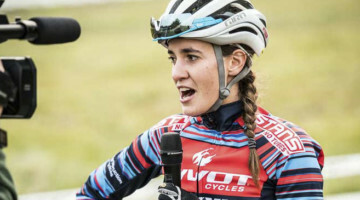 But a mix-up in paperwork with the UCI relating to her dual citizenship saw her toe the line in Zolder for Argentina instead of the United States. Riding for her birth country rather than her adopted one, Gomez Villafane finished 19th in the first ever U23 Women’s World Championships. Below is a look at Gomez Villafane’s bike as it was set up in Asheville. And you can get all of our World Championships coverage here. 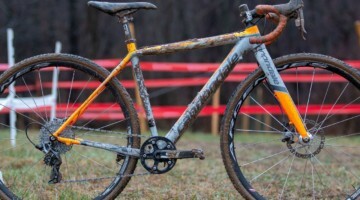 Cannondale’s SuperX series of cyclocross bikes come in a variety of specs with two different carbon frame offerings, a high modulus one and the standard carbon frameset seen here on her SuperX Rival CX1. 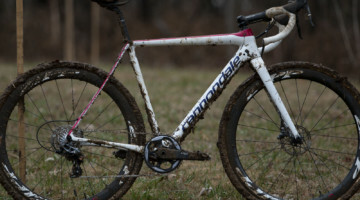 Aside from the SuperX offerings, Cannondale also offers a line-up of aluminum cyclocross bikes as well, making them one of the bigger players in stock-cyclocross bike offerings. 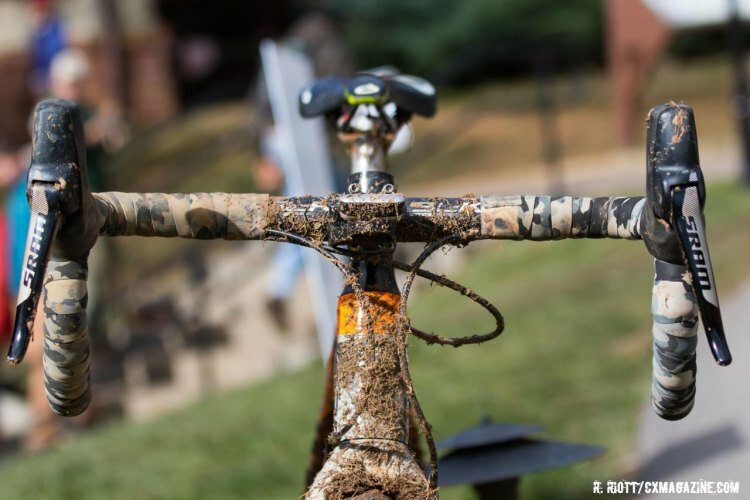 Gomez Villafane’s frame and fork is made of Cannondale’s BallisTec carbon and features disc brake mounts, now standard on all of Cannondale’s cyclocross offerings. While it’s built around a stock bike, Gomez Villafane’s race bike has some modifications to suit her personal preferences. Gomez Villafane’s drivetrain has a couple of changes from the stock offering. 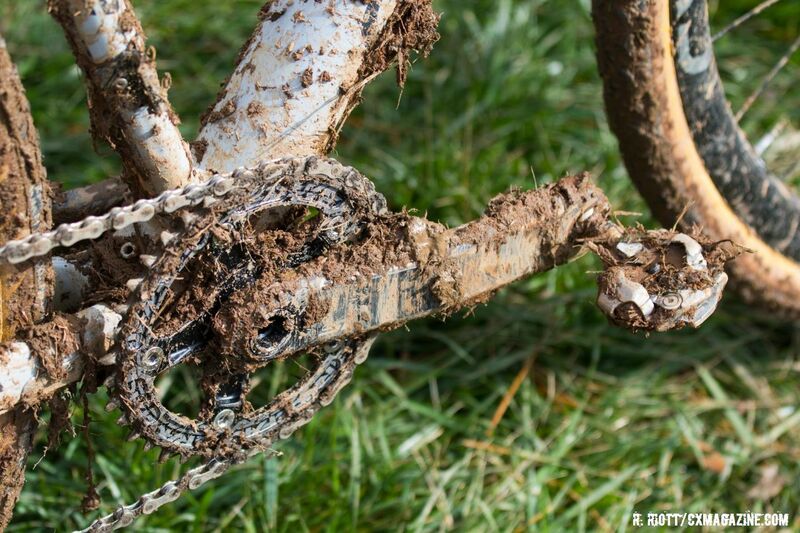 The first is the use of a RaceFace 38 tooth chainring mated to Cannondale’s Hallowgram BB30 crankarms. The other is the use of SRAM’s Force 1 rear derailleur. Stopping duties are performed by the stock SRAM Rival hydraulic calipers in front and back. Gomez Villafane’s contact points are a mixed affair of well-known parts, including Shimano’s XT pedals, a Thomson Masterpiece seatpost with a Prologo saddle and FSA SL-K bars clamped to the stock Cannondale C3 alloy stem. The whole set-up rolls on Enve’s CX carbon tubular wheels, which in turn are shod in Challenge’s Baby Limus tires. After the race, Gomez Villafane told us she’d have rather run the standard Limus tread at the Biltmore Estate, but as she didn’t have the Limus available, she rolled with what she had, the Baby Limus. 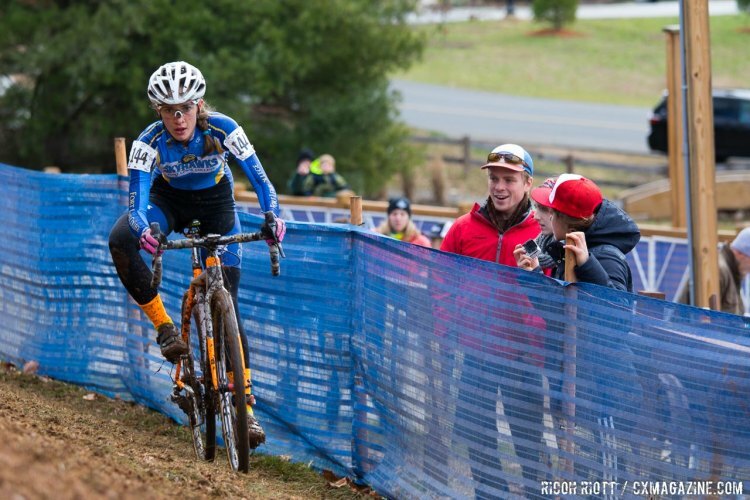 Given her quite dominating performances in Asheville, it’s no wonder she was awarded a spot on Team USA. And while she ended up not being able to race for her adopted country, at least her fans still had the chance to see what she could do against the world’s best. What do cxers do with their Garmin when they do a bike swap in the pits?